In 1994, Weaver Barns began manufacturing storage structures in the second story of an old barn. With only two employees and 2,400 sq. ft. of work space, storage sheds weren't the only thing we were building – we were also building a reputation for unmatched quality and craftsmanship. Later, an addition to our Sugarcreek, Ohio, facility has increased our production area to 25,000 sq. ft. Through our network of dealers across Ohio and surrounding states, we provide customers with a wide selection of well-crafted, fine quality storage barns. We currently offer 15 different models available with a choice of Vinyl, Premier, and Deluxe features and a large range of special options. Weaver Barns is committed to providing you with the best in everything we do, from customer service and production to the final installation of your storage barn. Our promise to you: a quality product for you and your family to enjoy for many years to come. Schlabach Woodworks specializes in crafting authentic hardwood flooring that is tailored to each customer's preferences and needs. A family-run business founded in 1991, Schlabach Woodworks also makes custom sliding barn doors and hardware, beams, and stair parts. 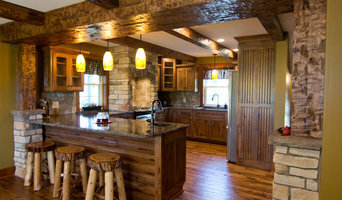 Nestled in the hills of Holmes county, Schlabach uses locally sourced hardwoods and precise milling procedures to produce wood products that retain the wood's natural beauty and authenticity. To find your dream flooring, visit the Schlabach Woodworks showroom at our convenient Polaris location (by appointment only). ProVia is a manufacturer of entry doors, storm doors, patio doors, replacement windows, vinyl siding & manufactured stone, and is based in the rolling hills of Ohio’s Amish country where quality & craftsmanship abound. At ProVia, we care about our customers as much as we do the products and services we meticulously provide. We combine old-world craftsmanship with state-of-the-art technology to deliver personalized care with every order. We invite you to experience ProVia’s full line of products crafted the Professional Way - which includes the industry’s best in doors, windows, siding and stone. Good design makes life better! 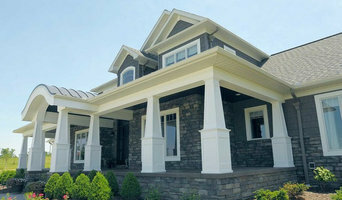 We are full service design studio - interior / exterior design, remodeling, color planning, furnishing. K.E. Dittmar Company Inc., is a full design build construction firm specializing in custom residential new build, renovations and additions. 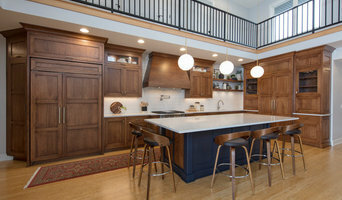 Our custom and semi-custom cabinetry and countertop company Monticello Cabinetry & Woodworking compliments our services and allows our customers to have full confidence in the completed project. K.E. Dittmar Company also covers light commercial design build work. Such project include Doctor's Offices, tenant space Infills and additions to existing buildings.